On a rainy afternoon, three sisters wish for the rain to stoop, wish they could play in the puddles, wish for something, anything, to do. So Ying-Ying, their grandmother, tells them a tale from long ago. On the night of the Moon Festival, when Ying-ying was a little girl, she encountered the Moon Lady, who grants the secret wishes of those who ask, and learned from her that the best wishes are those you can make come true yourself. 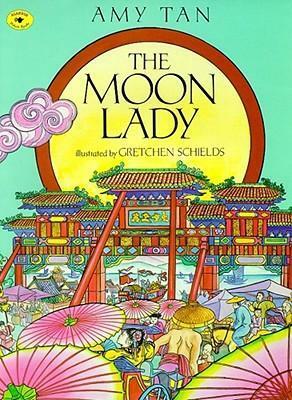 This haunting tale, adapted from Amy Tan's best-seller The Joy Luck Club and enhanced by Gretchen Schields's rich, meticulously detailed art, is a book for all to treasure.